July 11, 2018 - Germany is raising charges against an Iranian diplomat for his involvement in a bomb plot targeting the Iranian opposition convention in Paris on June 30th. German prosecutors on Wednesday accused Assadollah Assadi with activity as a foreign operative and conspiracy to commit murder. Based in Vienna, Assadi is suspected of hiring an Iranian-Belgian couple in the northeast European country to stage an attack at the annual convention held by the Iranian Diaspora expressing their support for the National Council of Resistance of Iran (NCRI) and its pillar member, the People's Mojahedin Organization of Iran (PMOI/MEK). Assadi reportedly provided the couple, living in Antwerp of Belgium, with a device containing 500 grams of TATP explosives when they met in Luxembourg in late June, according to a written statement issued by the German prosecutors. After Belgian authorities apprehended the Iranian-Belgian couple and finding the powerful explosives in their Mercedez-Benz vehicle, German authorities detained Assadi under a European warrant near the city of Aschaffenburg. Expectedly, Iranian regime Foreign Minister Mohammad Javad Zarif has been describing the entire dossier as a false flag plot, signaling the seriousness of the entire issue for Tehran. Assadi also faces charges from Belgian authorities of being part of a terror plot to bomb the Iranian opposition convention in support of the PMOI/MEK. Brussels continues to seek Assadi’s extradition. German prosecutors are saying their investigation would not in any way compromise or hinder Belgium’s request to have Assadi extradited. 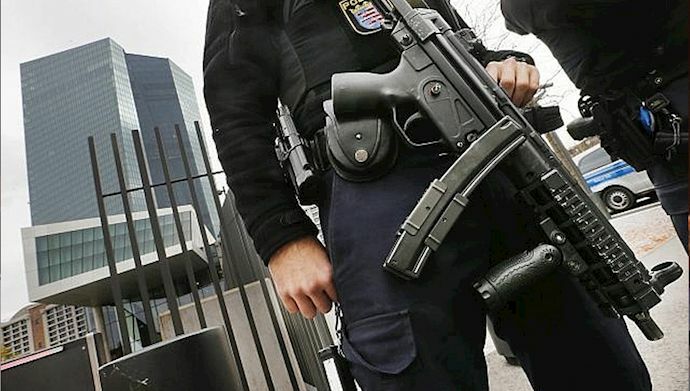 “A terrorist diplomat of the clerical regime by the name of Asdollah Assadi, who was the main planner of the terrorist plot against the great gathering of Iranians in Paris, was arrested in Germany. The terrorist diplomat, who is the station chief of the Ministry of Intelligence and Security (MOIS) in Vienna, has been stationed in Austria since August 2014. “The two arrested terrorists are Amir Sadoni and Nassim Nomeni and are residents of Antwerp. “Prior to Asadollah Assadi, an individual by the name of Mostafa Roudaki was the MOIS station chief in the regime’s embassy in Austria. Roudaki was transferred to Tehran and was subsequently dispatched to Albania in 2017 as the MOIS station chief there to plot against the People’s Mojahedin Organization of Iran. Assadi was also stripped of his diplomatic immunity. Assadi would be “deprived of his diplomatic status within 48 hours because of the existence of a European arrest warrant" against him, according to the Austrian Foreign Ministry that made a statement last Tuesday. The Iranian regime’s ambassador in Vienna was summoned last Monday, questioned on the situation and asked to clarify the issue, a statement explained. The Belgian government is accusing him of being involved in a plot aiming to attack the June 30th convention where a massive crowd of the Iranian Diaspora – described as around 100,000 by The Washington Times and tweet by former U.S. House of Representatives Speaker Newt Gingrich – expressed their support for the Paris-based National Council of Resistance of Iran (NCRI), a coalition of Iranian opposition groups seeking to overthrow Iran’s clerical regime. Other suspects, five in total up to now, have been detained in Belgium and Frances, according to authorities in these two countries. Belgian authorities were the first to reveal the terrorist plot, announcing on July 2 that the arrest of a husband and wife team took place on June 30 while they possessed 500 grams of TATP explosives along with a detonation device, all found in their Mercedes-Benz vehicle. The suspected couple, who are described as Belgian nationals of Iranian origin, are now facing charges of attempted terrorist murder and preparing a terrorist attack. French authorities have also detained three individuals for questioning in association with this developing case. Mayor Rudy Giuliani, an advisor to U.S. President Donald Trump, had issued a statement on this highly sensitive subject.